Walter "Terry" Stanley Lutz, Jr. Celebrating the life of Walter "Terry" Stanley Lutz, Jr.
Be the first to share your favorite memory, photo or story of Walter "Terry". This memorial page is dedicated for family, friends and future generations to celebrate the life of their loved one. 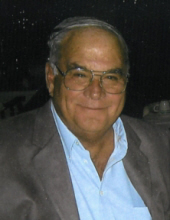 Obituary for Walter "Terry" Stanley Lutz, Jr.
Walter “Terry” Lutz, Jr. age 78 of Hartford, WI passed away peacefully at home Friday, October 12, 2018. Terry was born October 13, 1940 in Philadelphia, Pennsylvania to and Ann (nee Wingert) and Walter Lutz, Sr. and raised in Haddonfield, New Jersey. Terry was a dedicated husband of 51 years to Sylvia (nee Kreider) Lutz; loving father to Michael Lutz, Sherri Lutz, and Wendy (Danny) Dulak; proud grandfather to Emily, Kelly, Sydney, Mason, Gage, and Aubrey. He was preceded in death by his parents; brother, Steve; and daughter, Debbie. Terry and Sylvia moved their family to Wisconsin in 1974 working for Signicast Corporation in Brown Deer. In 1981 he purchased Signicast and for over 31 years he built the company into a world leader in the investment casting industry. Part of his legacy was to plant seeds for future generations, whether it was donations made for the Signicast Aquatic Center, Veterans Pool, or Hartford Library. He believed strongly that a vibrant community breeds success so he gave generously to the Hartford community. Terry was devoted to education in the trades, helping to expand facilities at WCTC and area schools for STEM programs. Special thanks to Terry’s care givers: Grace, Rosita, Jassmine, Kendall, Rich, and Melissa. Thank you for your dedication and kindness to Terry in his final months. Visitation only will be held Thursday, October 18, 2018 from 4:00p.m. to 7:00p.m. at the Chandelier Ballroom (150 Jefferson Ave. Hartford, WI 53027). In lieu of flowers please donate to the Hartford Boys and Girls Club or Washington County Humane Society. "Email Address" would like to share the life celebration of Walter "Terry" Stanley Lutz, Jr.. Click on the "link" to go to share a favorite memory or leave a condolence message for the family.